Some of you have asked about mailing us stuff. 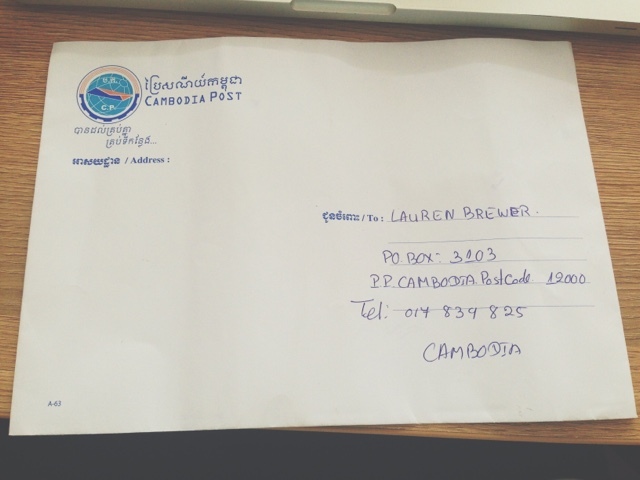 Our answer for the most part has been that we don't have a good way of receiving mail here in Cambodia. 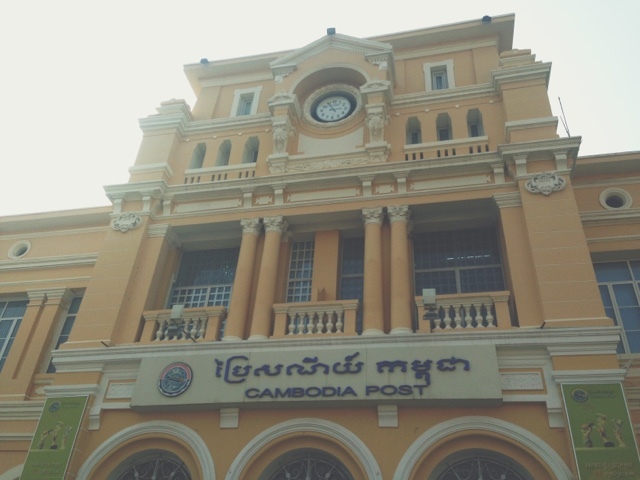 As far as we know, mail does not ever get delivered to residences here, and until we made this trip to the post office, we had never even seen a mail box in the country. After tackling so many other settling-in tasks here, we geared up for a trip to the post office to see about getting ourselves a PO box. We were prepared for confusion, bribes and a lot of waiting. In the end, it was a pretty painless experience! The hardest part of the process was finding the right door to the right room. The only "bribe" we were asked for was from the woman filling in our paperwork. 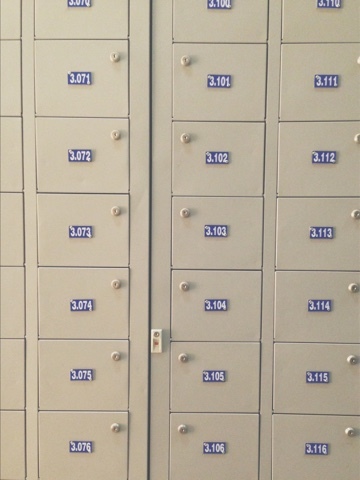 She told us that if we thought the price for the PO box was cheap, we could buy her a coffee. (We politely declined.) See our mailing address below. The very colonial looking building. How they instructed us to write our address. Please be sure to add the telephone number (as they are at least supposed to call us to let us know something has arrived). If any of you want to send a letter, we'd love to receive it. 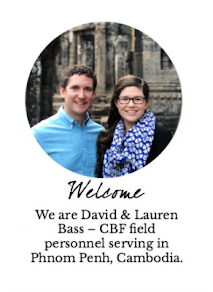 If you would like to send us more than a letter, we ask that you please check in with us first--we are still figuring out the costs and protocol to receive packages as customs can be pretty complicated here.